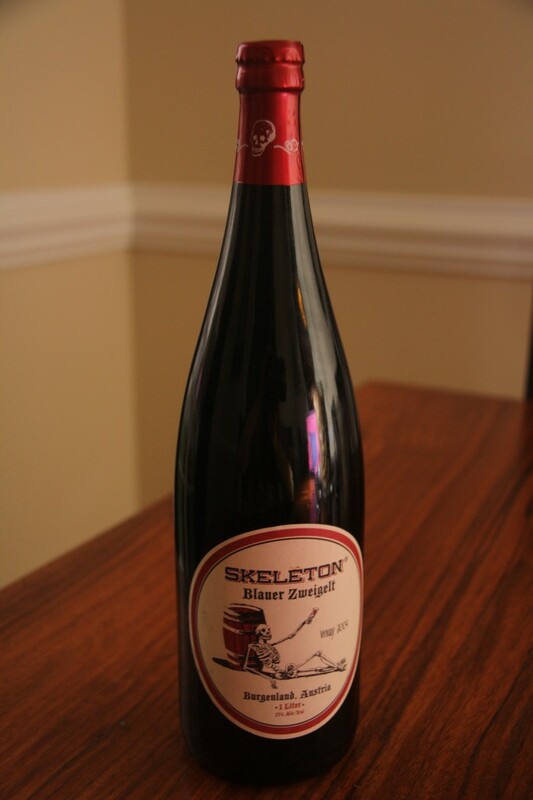 What could be more appropriate than a wine called Skeleton on Halloween? I’ve actually had this wine for awhile and as Halloween loomed closer I decided I had to save it for the day. The big surprise was how much my mom – who doesn’t usually drink red wine – liked it. I liked it, but didn’t love it so I asked my mom to describe what she liked about it. Her description: “it doesn’t have that strong bite that so many reds have and it just seems to have a nice balanced feeling in my mouth.” (She was pretty psyched when I told her “mouthfeel” is actually a real wine term.) She said it reminded her of the currant jam she and her mom made growing up, as well as a little hint of blackberry. 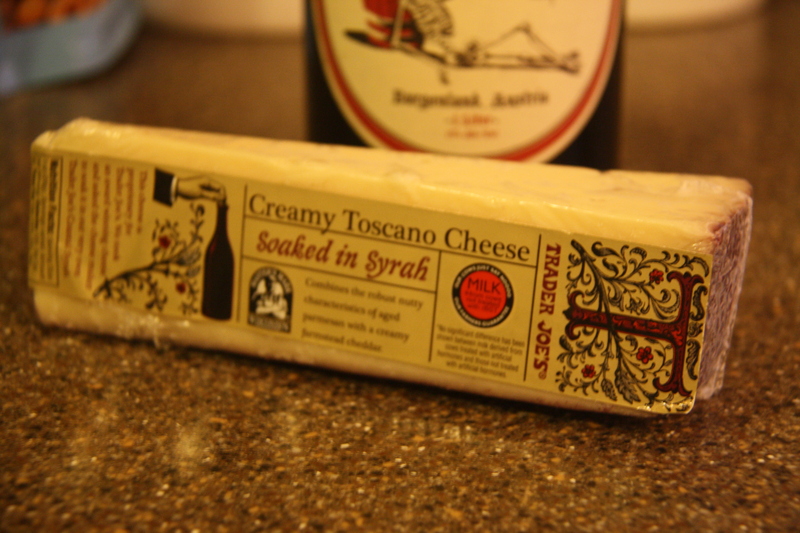 We both loved the way it paired with this cheddar I had bought at Trader Joe’s – each one together just made the other one even better. Ya’ll, I think we have a budding wino on our hands. And, in case you’re wondering, it also pairs great with Reese’s Peanut Butter Cups and Almond Joys. Maybe not so much with the Skittles. Recommendations: pairs well with cheddar, a good red for new red drinkers, serve on Halloween! Would you buy it again? Not for myself, but maybe for my mom. It lacked the big jammy fruit taste that I usually look for in a red, and I’m growing more partial to a more tannic wine these days too. But looks like it could be one I have on hand to pay Grandma-babysitter when she comes to town!